From the moment Pro-Line - NewWater customers make their first inquiry, it becomes evident that each and every staff member is committed and dedicated to outstanding service. 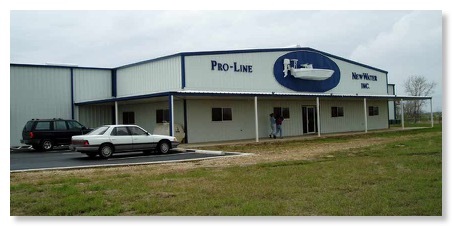 Whatever the size of the boat or the job, the Pro-Line - NewWater customer will enjoy superb quality, competitive rates, and relentless reliability. Our work is done on time, on budget, and sets the standard for quality workmanship. 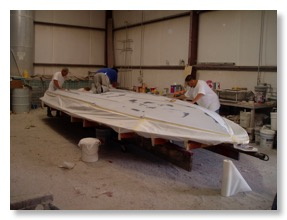 Our in-house trades include: Canvas and Upholstery, Metal Fabrication, Electrical and Rigging, Fiberglass/Composite Fabrication, Welding, and Boat Detailing. wide selection of brand-name equipment, parts, hardware, and more. While we seek to continually improve our facility, train our staff, upgrade our equipment, and add to our list of services to meet every job specification, it is the quality of work and personal service that keeps Pro-Line - NewWater customers coming back. The Pro-Line - NewWater mission is to operate in a manner that provides outstanding results for our customers, owners, employees, families, and nature. We strive to continously improve our performance and to maintain recognition as the premiere company in the recreational marine industry.